Spring Break is just around the corner. That means sunshine and beach time. If you’re planning a beach vacation, you’ll want to make sure it’s a fun and healthy week in the sun. This means packing all the essentials in your beach bag for full days in the sand. Here are some essential items to pack in your beach bag. Staying hydrated while you’re laying in the hot sun is crucial. You may not feel dehydrated if you’ve been taking dips in the ocean. However, dehydration can sneak up on you and you don’t want to end up sick on vacation. Buying water bottles at beach food stands can be pricey. Keep a big water bottle with ice water tucked away in your bag. Try an insulated bottle to keep your water cool all day. While you may be reaching for the tanning oil, sunscreen is a must to protect your skin from the sun’s UV rays. You will still get a tan without the burn. Try a lightweight formula to keep your skin feeling fresh. Spray on sunscreen can be convenient if you are an on-the-move beach goer. A large towel will keep you dry when you decide to take a dip in the ocean and will be big enough to lay out on. Try bringing a large blanket or sheet if you’re going to the beach with a group of friends or family. Sunglasses are another way to protect your body from the sun’s harmful UV rays. You don’t want to catch yourself squinting in the sun while you’re trying to relax. You can even buy a pair that matches your swimsuit. Being in the sun all day can really make you feel drained. Keep some healthy and easy to eat snacks like granola bars, crackers, or dried fruit in your bag. Especially if you’re traveling to the beach with kids, it’s important to have snacks ready so they can keep going all day. 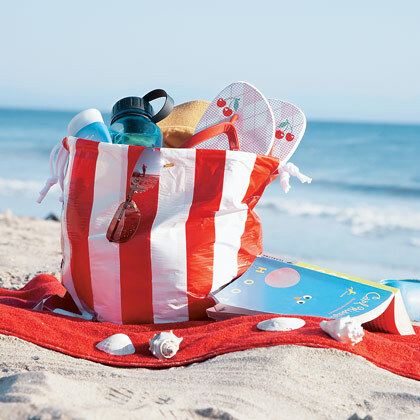 If you have post-beach plans, a change of clothes in your bag will be easy to throw on after your beach day. Sometimes your clothes may get wet or dirty. Be smart and keep extra clothes handy just in case. Having the essentials on hand will allow you to relax and enjoy your beach vacation. This doesn’t mean you need to fill your bag to the brim, but to prepare for anything. Whether you’re with one person or the whole family. If you’re looking to take a beach vacation in St. George Island, Florida, Collins Vacation Rentals provides guests with the utmost comfort and amenities you’re looking for in a vacation home.